We take a look at the story behind iconic artists of the 20th century in front of the camera and not behind the easel. In this series of photographs by Edward Pfizenmaier taken in the St. Regis Hotel, New York, 1964, Dalí's pet, a Colombian ocelot called Babou, takes centre stage. The nocturnal wildcat species was once worshipped by the Moche people of ancient Peru, often portraying them in their art. So it's no wonder the Master of Surrealism chose an ocelot as his furry companion. 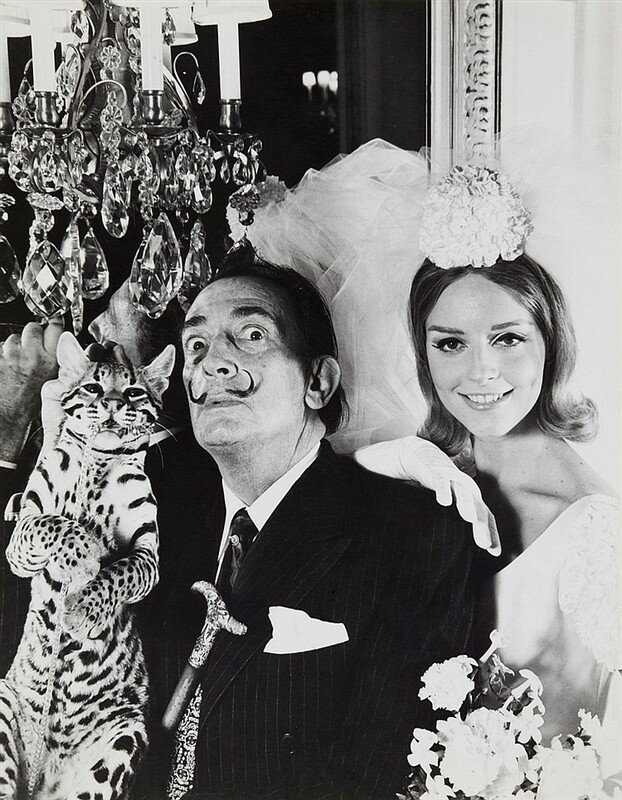 Legend has it that Dalí acquired his ocelot in the 1960s from the Colombian Head of State. The wildcat would accompany Dalí on all his travels, wearing a studded collar, nonetheless. Their trips together included dining in Manhattan's finest restaurants and a voyage on the luxury ocean liner the SS France. Edward Pfizenmaier was born in 1926 and lives in New York. He started his career at Vogue Studios during the 1940s and 1950s where he worked with Horst P. Horst, Cecil Beaton and Irving Penn. During his career, he has photographs stars of art and culture, from Andy Warhol to Marilyn Monroe. Villers captured an exciting side to the artist, photographing Picasso and his second wife, Jacqueline Roque's parties with the likes of Christian Dior and Man Ray. 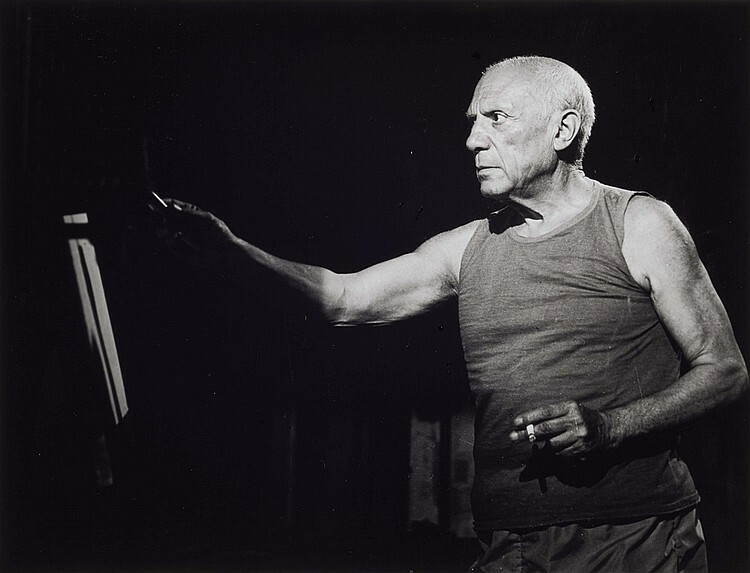 Picasso would also dress up for the camera, wearing cowboy hats and other costumes. 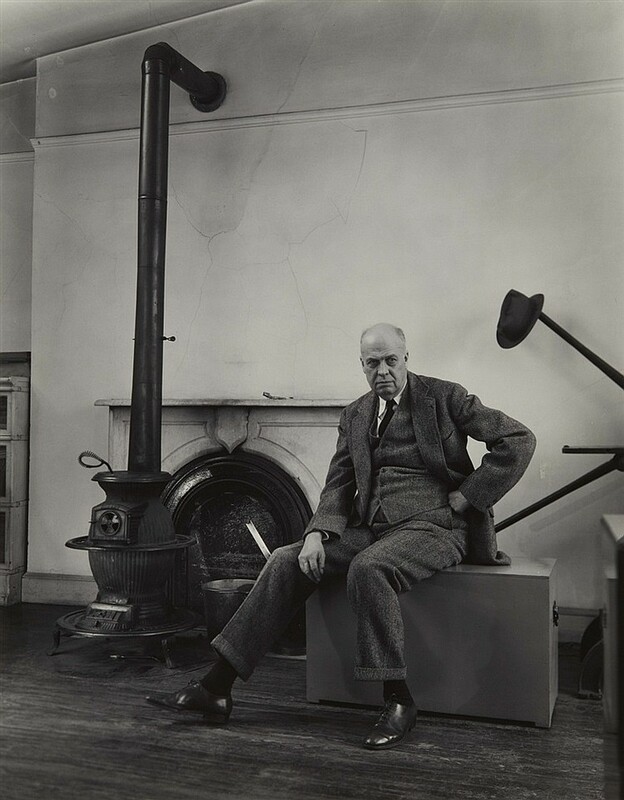 Born in 1898 in Springfield, Ohio, Berenice Abbott was best known for capturing cultural figures of the 20th century between the two World Wars. Like many American artists, she travelled around Europe and Paris, where her works were exhibited Man Ray, André Kertész in the "Salon de l'Escalier" and on the staircase of the Théâtre des Champs-Élysées. In the late 1940's, Hopper's health began to suffer, he admitted, "I wish I could paint more. I get sick of reading and going to the movies." 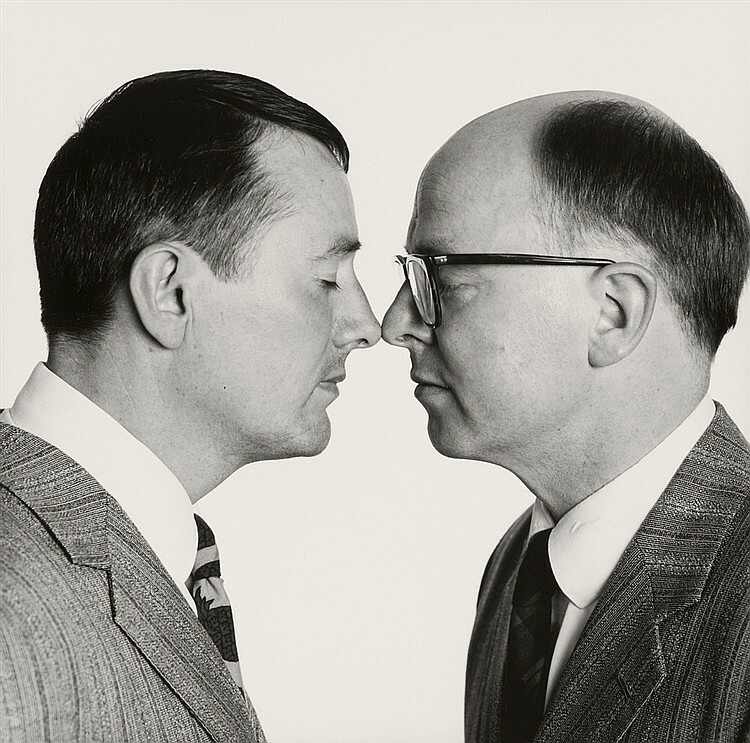 American photographer Abe Frajndlich lives and works in New York City, where he captured this image of performance artists Gilbert + George. This photograph was taken just after the artists had been awarded the 1986 Turner Prize for their brightly colored photo montages. It was the year many critics thought the Turner had shifted focus from concentrating on the artist rather than the art. Even the artists seemed unimpressed by their win. "We don't like prizes. We are apart from all that. It is not important to us." Abe Frajndlich was born in 1946 in a camp for Displaced Persons in Frankfurt-Zeilsheim, Germany, and often refers to himself as a stateless person. He became known as the ''photographer of photographers'' capturing his contemporaries as well as celebrities. Erika Kiffl, born in Czech Republic in 1939, the photographer was also know for capturing artists. In these works she has captured artist Joseph Beuysworking. 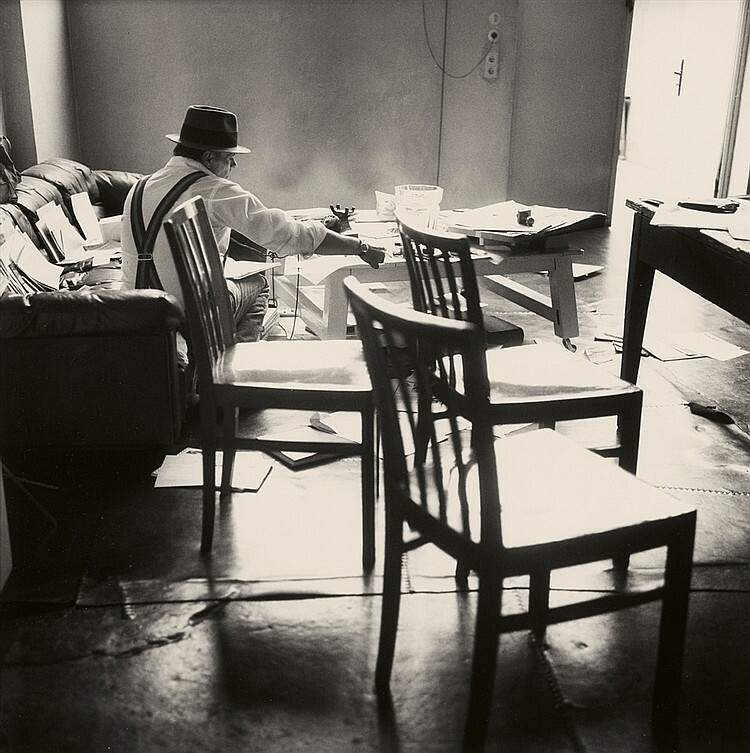 German Fluxus artist Bueys was known for his performance and installation art. This piece was a few years before Beuys staged his I Like America and America Likes Me (performance, 1974.) This performance was key to bringing German avant grade art to America. 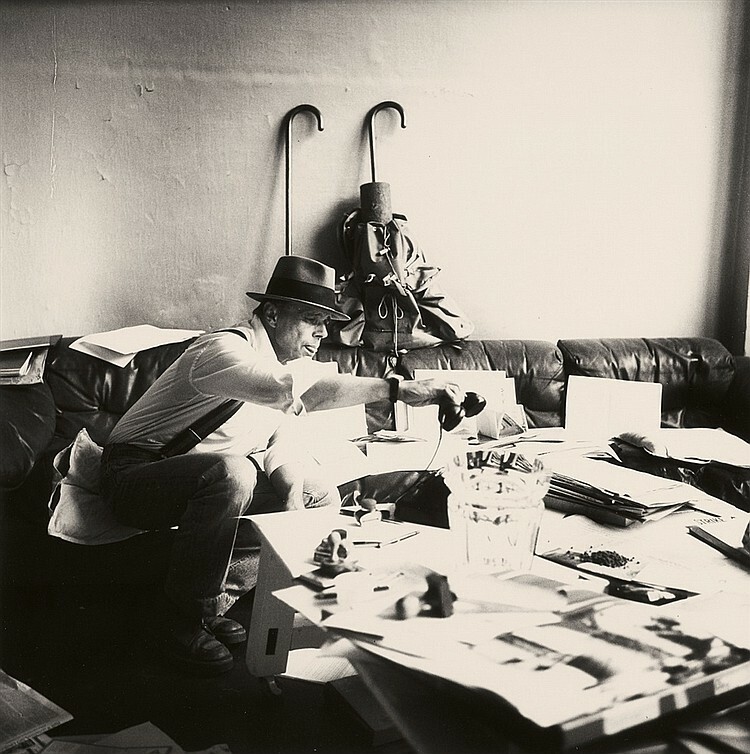 In May 1974 Beuys flew to New York and was taken by ambulance to the site of the performance, a room in the René Block Gallery at 409 West Broadway. Beuys lay on the ambulance stretcher swathed in felt. He shared this room with a coyote, for eight hours over three days. At the end of the three days, Beuys embraced the coyote that had grown quite tolerant of him, and was taken to the airport in a veiled ambulance, leaving America without having set foot on its ground. All photographs featured will be in Lempertz Photography sale on May 31. Check out the full catalog here.